As the Communications Manager, Hannah guides Nebraska Arts Council’s media and responds to community and media inquiries. 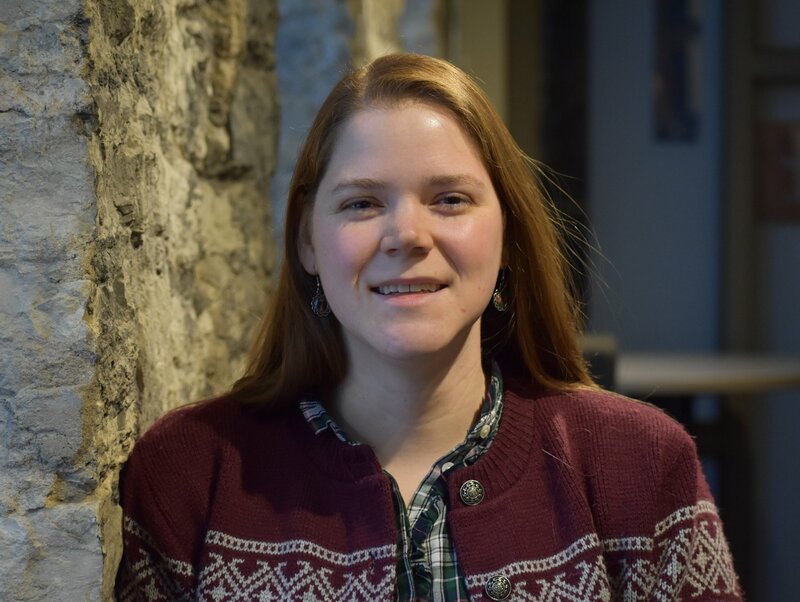 Hannah is committed to sustaining and supporting communities and has realized this work as a Fulbright Teaching Assistant for Adam Mickiewicz University in Poland, freelance journalist, Peer Marketing Advisor with the Education Abroad Office at the University of Nebraska at Omaha, and volunteer. After receiving a Bachelor’s degree in Journalism from UNO as a Goodrich Scholarship recipient, Hannah returned to expand her knowledge, eventually obtaining a Master’s of English and TESOL certification with focused research on teaching English and the relationships between language and power. Hannah enjoys time spent with family and friends, especially if table-tops games are involved, hiking, and pursuing artistic endeavors.